Pictured: An early draft of the San Diego Chargers' inaugural uniform. I'm not necessarily saying this weekend will be filled with rage-induced controller destruction, but given that Nick picked up a certain collection of games, it seems unavoidable. I'm also not necessarily saying the two weddings Jason's attending will devolve into orgies of carnal pleasures after seeing thirty seconds of his "Cha Cha Slide" routine, but I'm not not saying that, either. It'll be a bit tougher to predict how things will go for the rest of the Co-opticrew. Will World of Warcraft be good again? Are Eric's sniper skillz actually "1337", or are they merely "sick"? If Locke screams "I'm the Yahtzee King" in the woods, and all his friends and family are around to hear it, does he truly obtain the status of tabletop royalty? Who's to say? How about you take a look and determine that for yourselves. 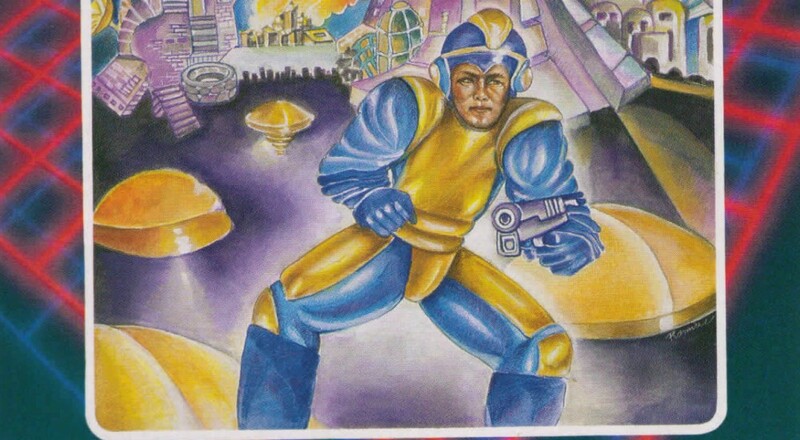 Nick Puleo (@NickPuleo) - "Picked up the Mega Man Collection and Neon Chrome on Steam sale. Will probably check that out." Jason Love (@JLove55) - "I'll be attacking things in many directions as part of a reviewing a game that's coming out soon, and also working on my dance game as I attend two weddings." Mike Katsufrakis (@Pheriannath) - "Whoops, I started playing World of Warcraft again!" Marc Allie (@DjinniMan) - "Dungeons & Dragons on Sunday after several months off, looking forward to it!" Eric Murphy (@smurph_em) - "Baldy and I are going to show off our 1337 sn1p3r ski11z in Sniper Elite 3's extra co-op modes tonight at 8PM Central on our Twitch channel. Stop by and chat with us!" John Bardinelli (@itsamejohn) - "Crossing my fingers and taking the Metroid Prime: Federation Force plunge. Will it soar? Will it sink? Let's find out!" Locke Vincent (@LockeVincent) - "Going camping so it's time to pull out the cardboard and do some tabletop." Tally Callahan - "Finishing up Valkyria Chronicles Remastered, Guild Wars 2 sPVP, maybe going to an RPG get-together, and wooooooork (boo)." Enoch Starnes (@enochstarnes) - "With any luck, lots of Dying Light, Rocket League, and Darks Souls 3." So, what say you? Any predictions? How about for your own weekend? Let us know in the comments! Page created in 0.9808 seconds.